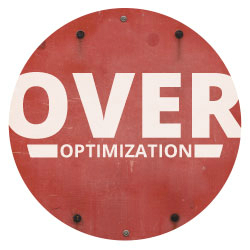 Optimization is an essential aspect of publishing website content. After all, what is the point of creating content that’s useful if your target audience won’t find it? Though in the past search engines had been known to reward keyword rich content with top rankings, that is not necessarily the case anymore. Currently, search engines are more focused on providing the best website content overall to searchers, and they are taking much more than keyword density and word count into consideration. Not a day goes by where I do not see a new infographic being tweeted, shared on Facebook, or posted on LinkedIn. 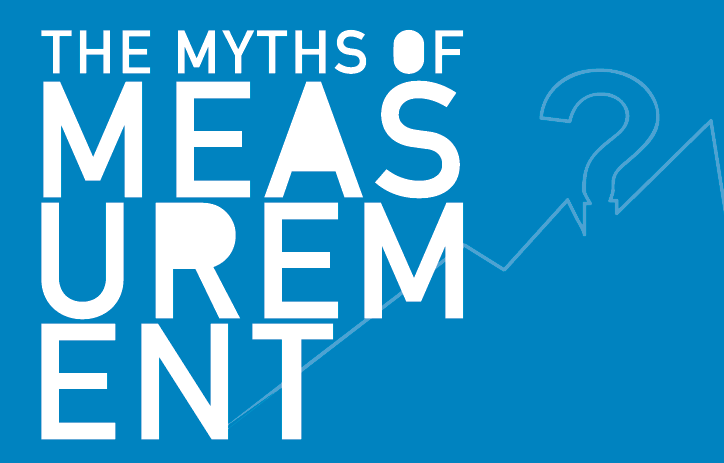 The topics range from data visualization to education to humor — and everything in between. Content marketing poses many different challenges to businesses of all sizes, one being producing enough content. In fact, according to a Content Marketing Institute and MarketingProfs study, 64 percent of small businesses and 53 percent of enterprise businesses note that producing enough content is a content marketing challenge they currently face. Often businesses aren’t able to produce “enough” content because they believe they simply do not have any new ideas for their content marketing projects. Building the authority of your website is not only important for building a strong brand, but also as a part of building trust with search engines that may just hold the future of your business in their hands. Understanding how to build authority requires a broad knowledge of internet marketing. In the infographic below, I discuss ways to build authority, and in the text I provide a few suggestions to help you get started, or to ramp up your current efforts. Too much talk about Facebook ‘likes’ and Twitter ‘followers’ is dumming down your analytics. 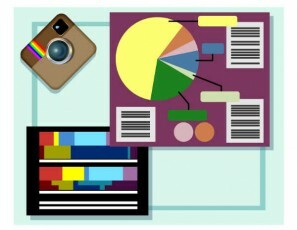 If you were asked for the most important metric you track related to your online marketing efforts, what would you say? What is the very first thing that came to mind? Depending on your responsibilities within your organization and the goals for your website, there are bound to be a variety of responses. Social media managers might say “share of voice” or “social mentions”. Or maybe they will point to traffic sent to the main website from their social activities such as Facebook pages, Twitter or YouTube videos. Let’s hope they didn’t say Facebook likes or Twitter followers as their core measurement focus. Content strategists might say they focus on measuring their most popular pages or possibly the most popular landing pages (there is a difference). This is good information and easy to obtain. I hope they didn’t say they measure the number of blog posts produced by their team each month as a measure of success. Search engine optimizers might say the most import thing to measure these days is traffic to the website. A couple of years ago, a lot of search engine optimizers were totally focused on the number of backlinks and pages indexed. Generally this equated to higher search engine rankings for keywords, and that was all that mattered. Not anymore. Company presidents might say sales are the only thing that matter. And as a business owner I can’t blame them. I often say the top line (revenue) can fix a lot of issues. But I would be disappointed if any executive said the number one metric was traffic to the website. All of them should have said the only thing that matters is the cost per lead or cost per sale. I’m here to tell you that the only thing that matters at the end of the day is conversions. If you don’t have conversions, you don’t have a business. How much you are spending to convert customers. How you can optimize the process of converting customers. An entire article can be written on determining these costs of converting customers, but let me boil it down to four steps. Define your business objective for the year. To keep this very simple, let’s say your team’s goal is to generate $1 million in new sales. Identify the number of new customers you need to meet your goal. To accomplish this, you need to determine the average revenue generated by your typical customer. In this example, let’s say that is $5,000. Divide revenue ($1M) by your average customer ($5K) and you get two hundred. This means you need to close 200 new customers to make your revenue goal. How many leads does it take you to close one customer? If you close one new customer out of every 10 leads, your conversion ratio is 10 percent. This means you will need 2,000 new leads (calls, walk-ins, online registrations or completed lead form) to get 200 new customers. Your business plan tells you marketing cannot exceed 10 percent of revenue. Following through on our math, you now know you need to keep your marketing costs below $500 per new client. It takes 10 leads to get a new customer so our cost per lead needs to be $50 or less. This might seem too simple and too obvious, but how many of you know whether your content marketing is paying off? Are your white papers, your YouTube channel or even your blog cost effective? Are they generating leads at or below your business goal of $50 per lead? A typical response from those who don’t know is “but we do that for branding.” Really? Even though you have the tools to measure all of those channels right to the cost per lead or sale? It is so tempting to brag about likes, views and subscribers, but if you cannot quantify whether they helped achieve your business goal, why measure them? Source and quantity of traffic to your site. Often called “web referrals,” this metric is probably the most basic measuring stick and indicates where your website traffic is coming from and at what rate. If you have conversion tracking set up in your analytics, you can determine which referral sources have the highest conversion rates. This should be measured over an extended period of time. Visits to purchase rate is defined as the number of sessions your visitors require to move from first interaction to a completed purchase. This metric is loosely related to days to purchase, another measurement worth noting. As you might expect, more complex sales generally require a few visits before buying, whereas sites focused on lead generation might be able to see conversions on first visits. Popular landing pages are those pages of your site that have the highest entrance rates. This is the first page visitors see when they arrive at your website. Many people assume this is your home page, but in many cases this is not the case. You must consider every piece of content and every page of your site a landing page. Take a close look at the top 10 or 20 landing pages. What would a new visitor think of it each without other context? Does it have a clear call to action? Page load speed is the time from which the page starts to load to the time when all the objects on the page are loaded. Fast-loading content improves the user experience and reduces bounce rates. Google’s algorithm is now taking page-load speeds into account for search rankings. Bounce rate represents the percentage of initial visitors to a site who bounce away to a different site, rather than continue to other pages within the same site. Even visitors who stay on a page for 10 minutes to read an article or watch a video will be considered a bounce if they do not move deeper into your website. Any page with a high bounce rate will be unlikely to convert customers effectively, and may even hurt you in search rankings. Time-on-site or engagement measures how long a visitor remains on your website during one session. Time on your website can be an indication of the level of interest or involvement that a visitor has with your content. If you have solid engagement on specific pages, but no conversions, you should check to see if you have a clear call to action. Number of re-tweets and Facebook shares (not “likes”) are two metrics that speak to the Holy Grail of social media marketers: “shareability.” Re-tweets and shares not only indicate whether your content has found an audience, but evidence also shows the major search engines are tracking this type of sharing to determine how this content should rank within search results. Again, if the content is being shared, but not converting, you may need to improve your call to action. These metrics are all useful to track, but remember: conversions are the lifeblood of virtually every business. Thousands of “likes” may win you a popularity contest, but also may be completely unrelated to revenue growth. The happy glow of your newfound social media status will not impress your CFO if it doesn’t also lead to business growth. Period. Though it’s been said many times before, it’s worth repeating: If you have a website, then you’re a publisher, and you need to think like one. This means you need to produce fresh content on a regular basis. 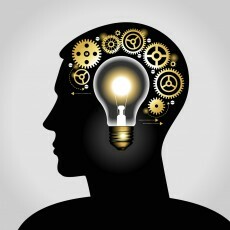 Developing a content marketing mindset means always being on the lookout for new content possibilities. Like most things, achieving the goals in a content marketing strategy takes some effort. 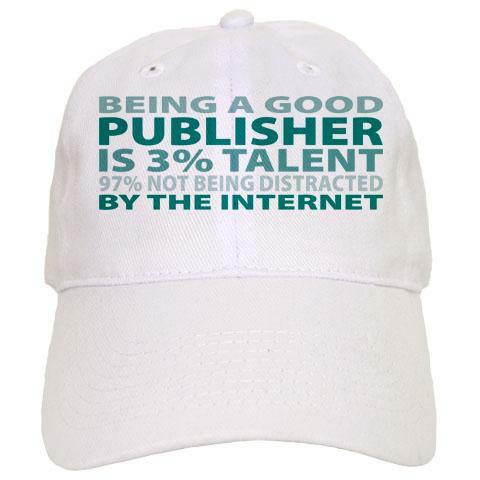 For a business owner or marketing director to add publisher to the number of hats they already wear requires a commitment of time and energy. Unfortunately, most businesses today don’t have the budget to add more staff in order to tackle the objectives in a content marketing program, so it becomes a matter of juggling the resources they have. So, how can businesses make it work? For starters, getting top-down buy-in is critical, especially for small businesses. Key executives need to recognize that a content marketing strategy is crucial to their online success, and they need to understand that they, too, will have to participate. Engage your executives in a Facebook chat. Have them answer questions posed by your Facebook fans and supporters. You can also repurpose the resulting content as a post on your blog. Poll your staff to see which of them might be willing to write blog posts on a rotating basis. Create a video in which your shipping manager explains your business’s shipping process. Take pictures during your next team lunch and post them on your blog. Interview one of your employees every week or every month as a “getting to know us” feature on your blog. When anyone on your team attends an industry event, have them take pictures and write up a summary to post on your blog. I find it helps to keep a little notebook on hand, or use the voice recorder on your phone, so that when you get that great idea for a Top 10 list or some other piece of content, it won’t get lost in the day to day shuffle. Keep in mind that not every idea you come up with will make the cut. Some photos or videos won’t necessarily turn out well enough to publish. Not all contest ideas will be winners. That idea you had for a blog post might have sounded good at the time, but maybe it took too long to start writing it and it got stale. When this is the case, don’t be afraid to just delete it and start again on something new. On the other hand, even when you do create something cool, you can’t let it sit idly online expecting it to always be cutting edge or consistently relevant to users. Your job is to keep producing fresh material and finding ways to repurpose your best content so that it offers new and different online opportunities. I didn’t always practice these words of wisdom. My turning point happened about two or three years ago. I found that my firm was creating a lot of web content for our clients, yet we created almost none for ourselves — the classic “cobbler’s children go barefoot” scenario. But then I started to think about how I purchased things online. I realized I was buying from sites that gave me the detailed information I needed to feel comfortable with making a purchase. I am sure you all do the same. So we raised the bar and started treating ourselves like one of our own customers. Our staff now creates content on a regular basis, and we produce a report on the results every month — just like we do for our clients. We blog routinely on third-party sites. We add three new posts to our blog every week. We gave Flip video cameras to every employee so we could shoot more videos and take more pictures. We eventually reached the point where the vast majority of our website traffic (77 percent) was coming to us as a direct result of the content we produced, instead of from our home page or other top-level pages. We do not spend a single dollar on advertising and haven’t for quite a while now. Our marketing is truly content marketing. Securing top-down buy-in from the start means that you can look to anyone and everyone in your organization to provide inspiration and new ideas for content. Foster a fun environment where creative expression is valued. The more you encourage creativity, the more you can gain from your content marketing strategy.